Photographs and Watercolors Merge in Surreal Paintings by Aliza Razell #ArtTuesday « Adafruit Industries – Makers, hackers, artists, designers and engineers! 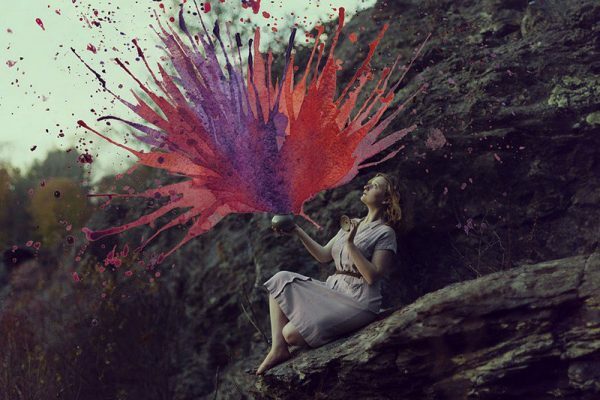 Using self-portrait photographs and watercolors, artist Aliza Razell has been exploring several abstract narratives by merging the two mediums in Photoshop. Her first series, Anesidora , involves the story of Pandora’s Jar (Pandora’s box was actually a jar, a detail misinterpreted in the 1400s), while the second is inspired by the Finnish word ikävä, meaning the feeling of missing someone or something.